Indigenous Latin American leaders are unacceptable to Washington, because they tend to be reformers who represent their country’s people instead of American business and financial interests. Consequently, when a Latin electorate elects a leader who will put them first, Washington overthrows the leader. This is the history of US/Latin American relations. In the 21st century alone Washington has overthrown the elected presidents of Honduras, Argentina, Brazil and Venezuela and overturned the independence of Ecuador that had provided asylum protection for Julian Assange. Washington’s coup with the Spanish elite against Chavez in Venezuela initially succeeded. Chavez was in captivity, but before he could be murdered the Venezuelan people and military forced his release. Chavez, either because he lacked the power to move against the traitorous Spanish elite or because he chose to display magnanimity, did not hold those responsible who participated in the coup against his life and Venezuelan sovereignty. Washington’s agents, the Spanish elite, were not arrested and retained their control over the media and the economy. Venezuela has substantial oil revenues, but they do not reach the government’s budget or protect the value of the currency. I do not know who controls the Venezuelan oil, but it appears the revenues are being stolen. As it seems unlikely the Spanish elites would permit the indigenous people to control the oil business, possibly the oil revenues are what funds, along with Washington, the anti-Maduro opposition. If the Maduro government is stealing the revenues, then the government is committing suicide. 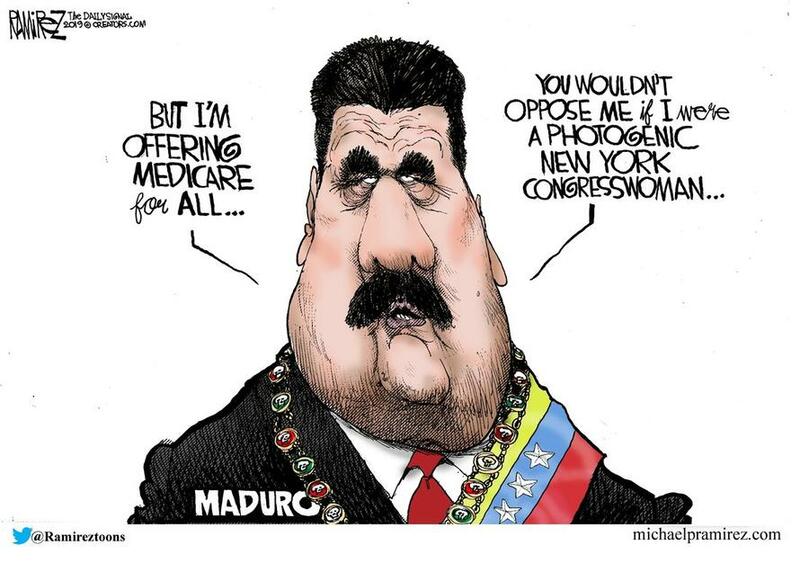 Maduro’s response, a number of years late, was to order all US diplomats out of Venezuela. Washington replied that as Washington does not recognize Maduro’s government as legitimate, Maduro lacks the authority to throw them out. The US diplomats will remain and continue the conspiracy against Maduro. “For a long time, the US has been eager to replace international law with its geopolitical interests and values so as to legalize its interference” and hegemony over the world. Will Washington announce tomorrow that the US has decided that Alexei Navalny, not Vladimir Putin, is president of Russia? Will Washington announce that the US no longer considers Xi Jinping to be China’s president, as his one party regime makes him illegitimate, and has replaced him with Tsai Lng-Wen? How long will other powers tolerate Washington’s illegality and aggression? How long will Americans tolerate the shame that Washington heaps upon their shoulders?